We try to bridge the gap between RE and investor. It is the financial crowdfunding platform to aggregate residential customers who cannot access to normal financial loan together. In order to negotiate various sources of financial support. 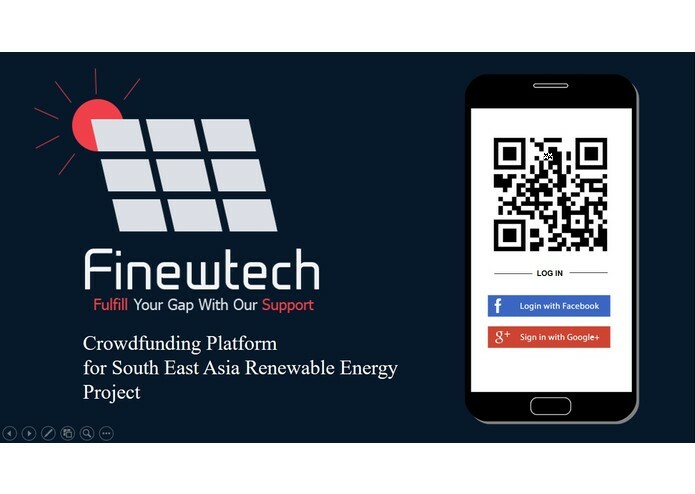 To make more renewable energy projects in Thailand and spread to ASEAN in the future. How to build business model by using design thinking concept. Integrate every third party application and our customers to blockchain.